The rose petals have been swept, the chocolates devoured, the candlelit dinner stacked in Tupperware. Another Valentine’s Day has come and gone and what have we gained from it? A pretty sizeable hole in our wallets. For every normal person uncomfortable with that idea, the answer should be no. However, everyone knows that creeping feeling of social pressure, the Valentine’s Day creature puts your logic in a vice grip. Denial of a potential valentine is the denial of social stability for that day. In other words, for 24 hours you will not hear the end of it. From experience, though, I promise that being alone today is okay. To those of you who spent a lovely day with your partner, loving one another just a little bit more, I have only one thing to say: why does Valentine’s Day have to be the day you love your special someone more? You should appreciate them whatever day you want. You should love them more at whatever hour you want. Also, be more mindful when you use the word love; it loses value when you say it too much. They know, they really do, and if they do love you, they do not need to hear it because they will always know. Instead of telling them how much you love them, tell them why you love them. A partner in life is a friend first, a chance for romance second. Talk about the time you were on an awkward double date, when your anniversary was actually next week not this week, or even how you met at that weird house party. Show your partner that you see them as a wonderful person, not a romantic ideal upheld by Hallmark cards and Godiva chocolates. See the beauty in what no advertiser will. I close this article knowing that maybe someone will read this and feel a little more relaxed. Valentine’s Day should not dictate how or when we should use the word “love” to describe every little bit of affection we show. Find beauty in yourself and the people around you. 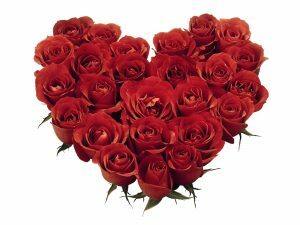 Treat any day like Valentine’s Day, have fun, and be a dandy person. If you will excuse me, I have 55 cupcakes to bake for a very special group of people. Happy Valentine’s Day folks!